Kathy and I enjoyed spending Memorial Day at home and were glad to have an extra day over the week-end to unwind from Saturday’s spring commencement activities and a hectic spring quarter. On Tuesday, I spent some time with Dave Guerin, Director of University Communications, before meeting with some of our architecture faculty and other administrators to discuss an exciting project for enhancing our School of Design’s education and outreach programs. I appreciate the energy and vision of our faculty as they seek new ways to enhance our programs and the learning experiences of our students. After lunch, I met with a prospective student and her father from Shreveport. In the midst of that meeting, our power went out. A major substation that feeds our campus was knocked out by a fallen tree, and we had to close down the campus early because of a long power outage. Fortunately, summer classes have not kicked in yet, so there weren’t any major inconveniences to our students. However, our faculty and Registrar were scrambling to get spring quarter grades loaded on the computer so we could get grades out to the students. Early Wednesday morning, I headed down to Baton Rouge for a morning meeting of the Board of Regents. We did not have much on their agenda, but I wanted to hear some of the discussions about admissions policies and the budget. 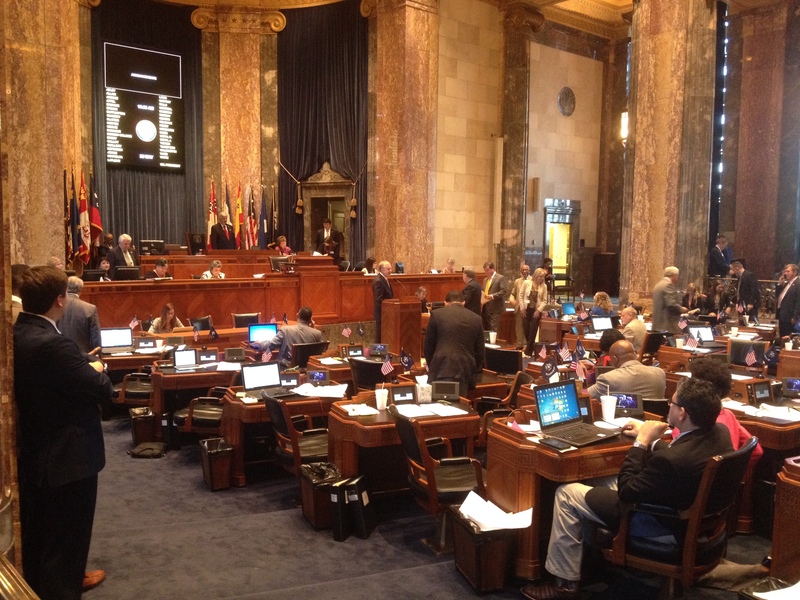 Thursday morning was our annual University of Louisiana System Day at the Capitol. We enjoyed a Jazz Breakfast on the east terrace of the state capitol building and had quite a few of our representatives and senators stop by for a visit. It was a good opportunity to thank them again for placing higher education at the top of their budget priorities for this year. Also attending the breakfast were several students and staff from Tech and the other campuses as well as ULS Board Members and staff. 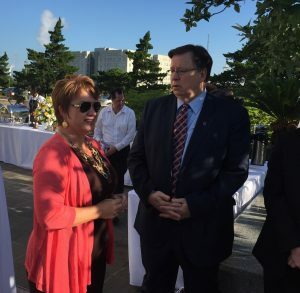 ULS President Sandy Woodley made some remarks to all those in attendance. 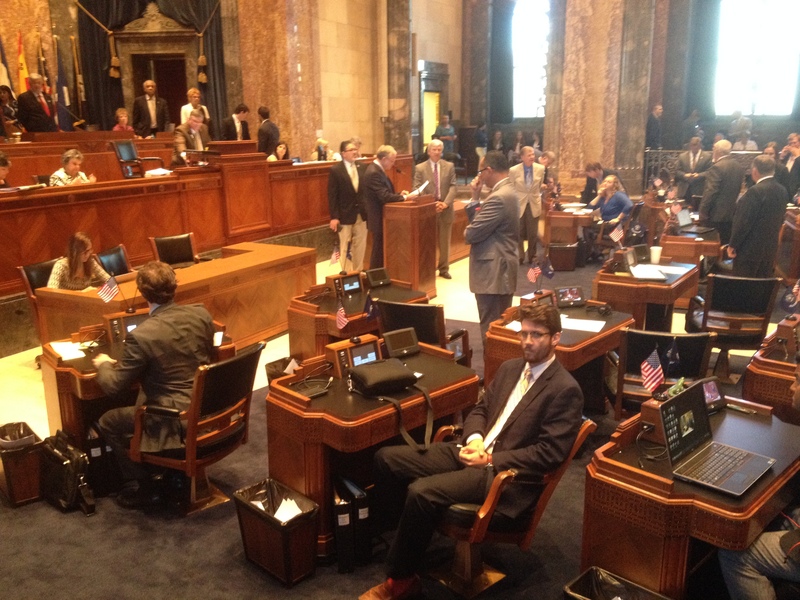 After the breakfast, the Presidents and Board members were invited into the House and Senate chambers to be recognized. 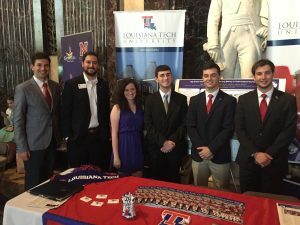 This gave us the opportunity to highlight some of the strengths of Louisiana’s largest system of higher education, totaling more than 90,000 students. 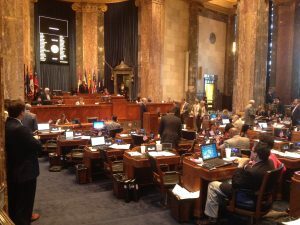 We also got to hear some of the other business of the House, including a spirited debate on HB2, the capital outlay budget. 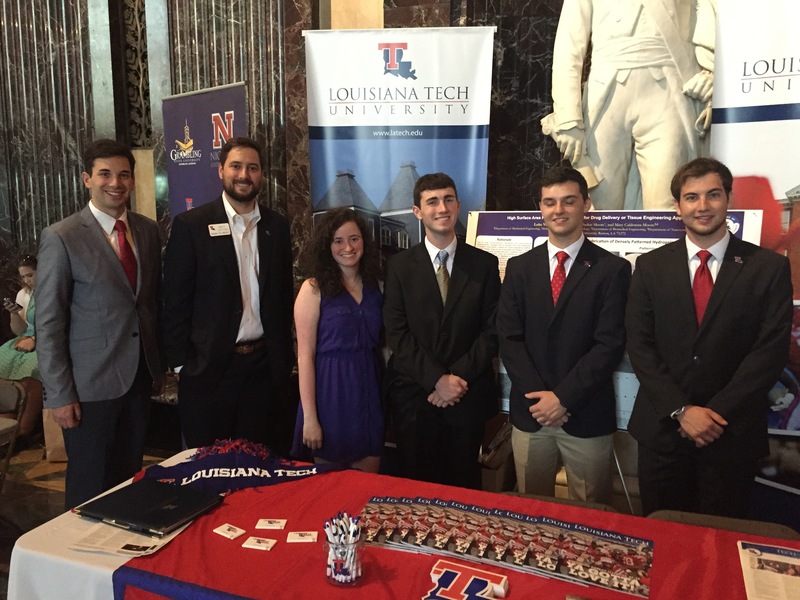 Our students and staff set up a booth in the Capitol Rotunda to showcase Louisiana Tech to delegates and other visitors. It was a good and productive morning. 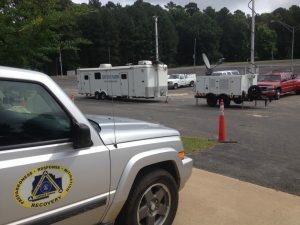 On Friday morning, I went by Argent Pavilion to observe the Lincoln Parish Annual Interoperable Communications Exercise, an exercise designed to test the communication skills, capabilities of local, regional and state first response agencies in the event of a major disaster or incident. 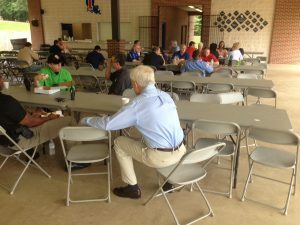 Exercise participants included all Lincoln Parish emergency response agencies, as well as Louisiana State Police, the Governor’s Office of Homeland Security and Emergency Preparedness (GOHSEP) State Emergency Operations Center, and GOHSEP Region 8 Parish Emergency Operations Centers and Directors. Such coordination activities are crucial for preparing us for emergency situations that may arise on campus or in the community.